My kids are so obsessed with painting. Yesterday I picked up a paint brush and painted along with them. I was surprised how good it felt. 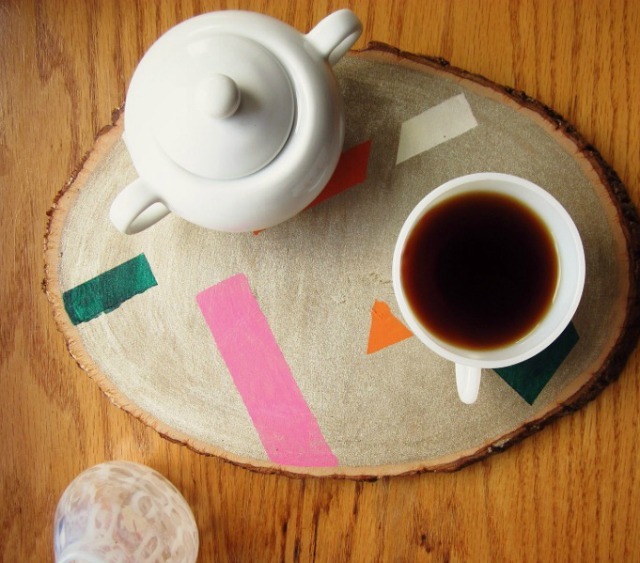 Today I found this DIY for a painted wood slice tray at She Makes a Home and now I'm totally obsessed. I think this would make a great Christmas gift. Must find wood slice!